The 1st session will take anywhere from 60-90 minutes, depending on how much there is to discuss regarding past and current medical conditions and treatment. Following sessions should be around 30 minutes each. Where and How do sessions take place? All sessions will take place over a HIPPA compliant, secure, video platform. What health issues or conditions can this help? There are a wide range of health conditions that can be improved, managed, and healed through the application of Functional Medicine protocols. Clients range from just wanting to lose some weight and feel better, to arthritis, autoimmune disease, and/or stress management. I would be happy to discuss your conditions and concerns to determine if I can provide you the services you need during a free 15 minute phone consultation. 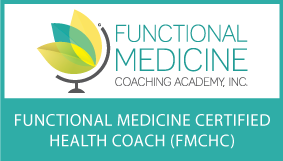 I see clients at any age, everyone can benefit from the application of Functional Medicine. The FDN package is $1500 plus the cost of labs and supplements. Coaching sessions are $250/hour. Session frequency is determined by the needs of the client. Some prefer weekly, while others prefer to meet once a month, you set the pace. No. Unfortunately at this time we cannot accept insurance.